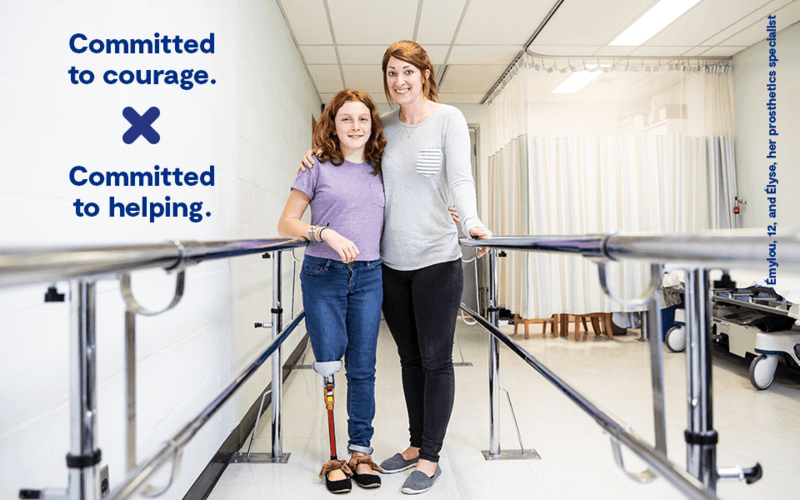 Fuelled by your generosity, the CHU Sainte-Justine Foundation’s Mélio Fund strives to improve the independence and quality of life of the 5,000 young patients treated every year by the Marie Enfant Rehabilitation Centre (CRME) for a locomotor or speech impairment. 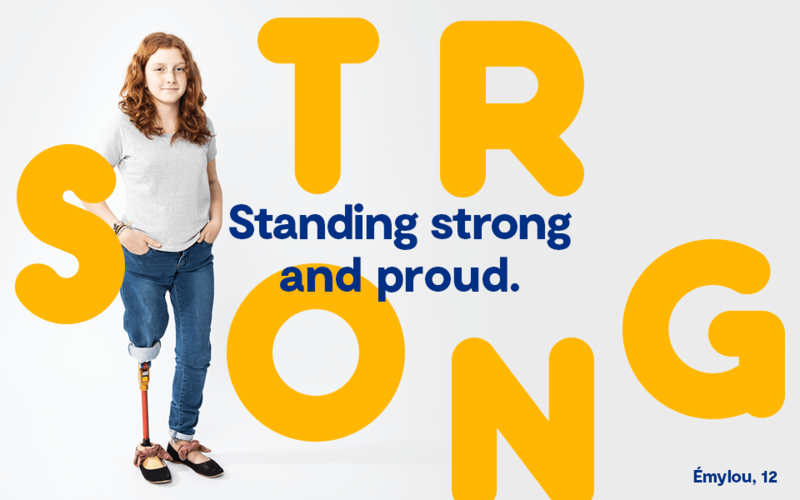 Giving to the CHU Sainte-Justine Foundation’s Mélio Fund means doing your part to make a positive contribution to thousands of children and the families who love them, each and every year. • For Émylou, your support means hope that she will continue to grow up healthy and make her way around just like every other girl her age. • For Mikaïl, it’s the promise of continued progress with his language skills, thanks to his speech-language pathologist. • For Kayla, it’s the bright smile on her face despite her extended stay in the CRME residence unit. • For Juliette, it’s the strength and determination of imagining her wildest dreams – and making them come true. 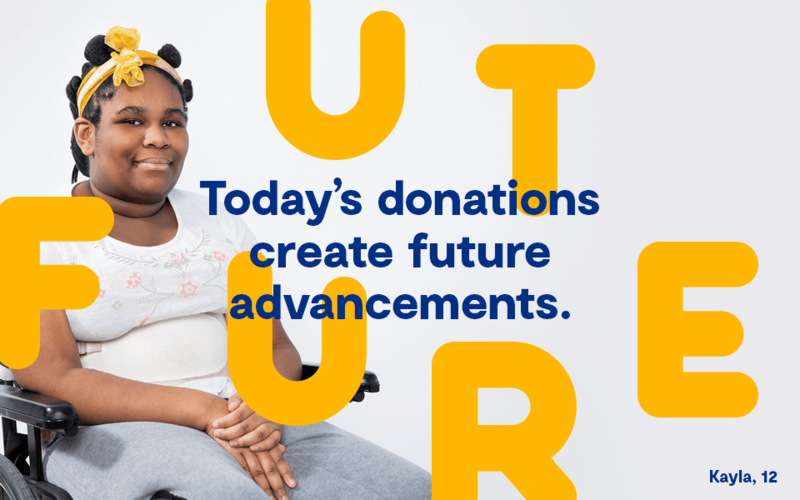 • For the devoted caregivers who work with our young patients, your support lets him continue to give the best of themselves and deliver the highest level of care. When you support the Mélio Fund, you are opening up a world of possibility to the children, families and teams of CHU Sainte-Justine’s Marie Enfant Rehabilitation Centre. You are supporting innovative research projects. 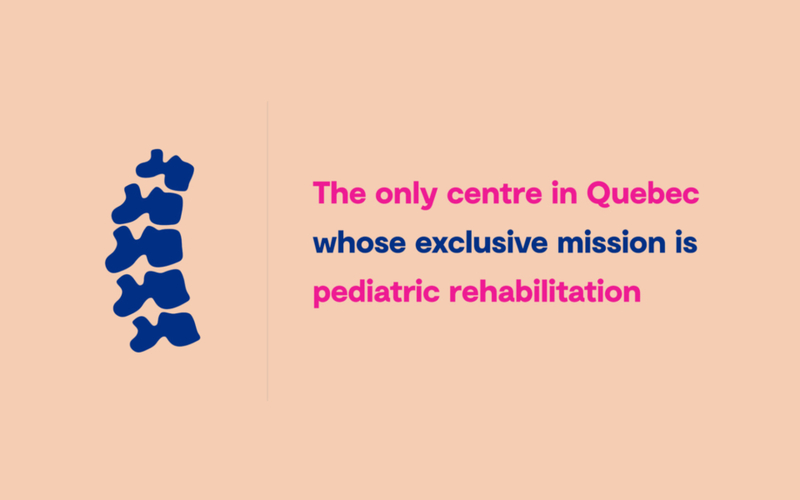 The CRME is the only exclusively pediatric rehabilitation centre in Quebec. Every day, the research teams contribute to broadening pediatric rehabilitation knowledge, aligning their work with numerous clinical activities and ensuring that the CRME continues to be at the forefront of this field of expertise. The new Pediatric Rehabilitation Technology Park aims to centralize collaborative research, with experts working hand in hand with families and caregivers. When you give to the Mélio Fund, you are bringing key discoveries and new technologies to the fore and helping children become a little more self-sufficient every day. 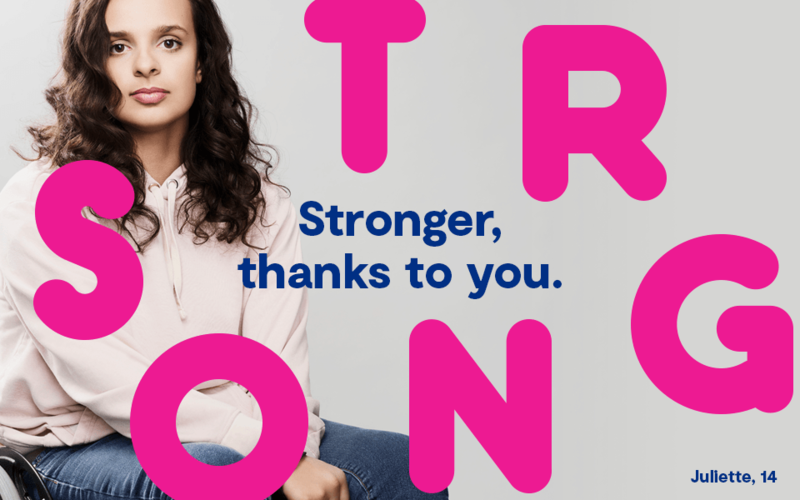 You are doing your part to improve and humanize patient care. 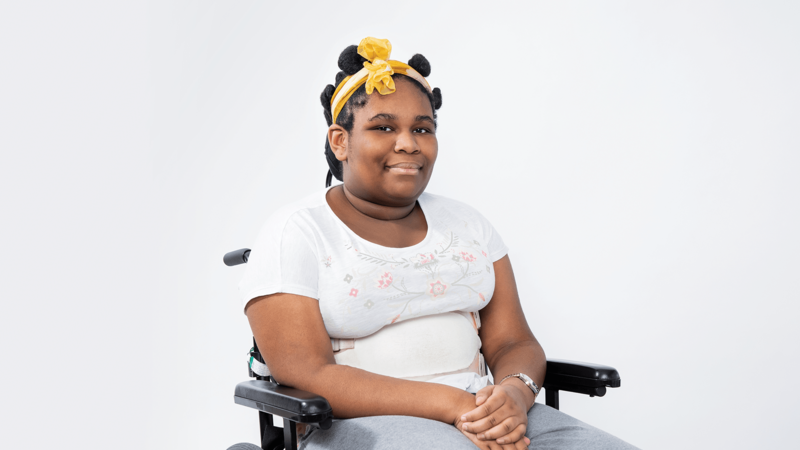 The comfortable, homey environment here is reassuring for children who have to spend a prolonged period of time at the Marie Enfant Rehabilitation Centre because of a severe physical disability or a temporary but incapacitating medical condition. 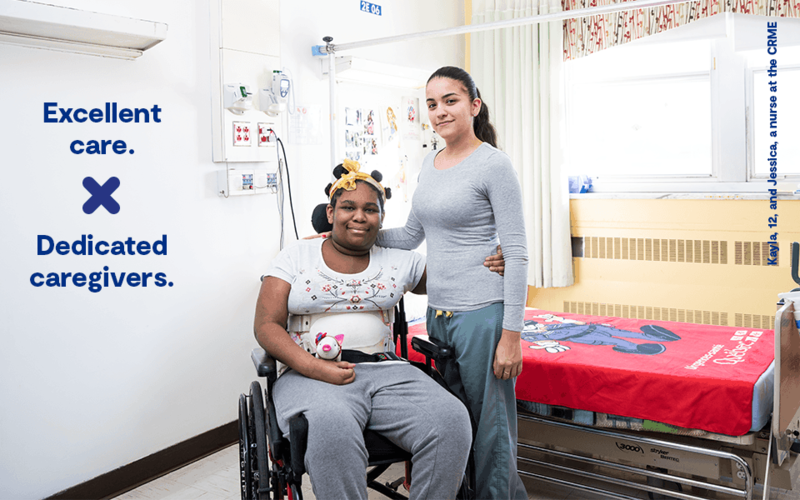 Your support makes it possible to ensure the essential care they receive during their stay is delivered with a uniquely human touch. Massage therapy, music therapy, animal therapy, visits from Dr. Clown: all of these services, and many more besides, make sure children and their families remain at the heart of everything we do. 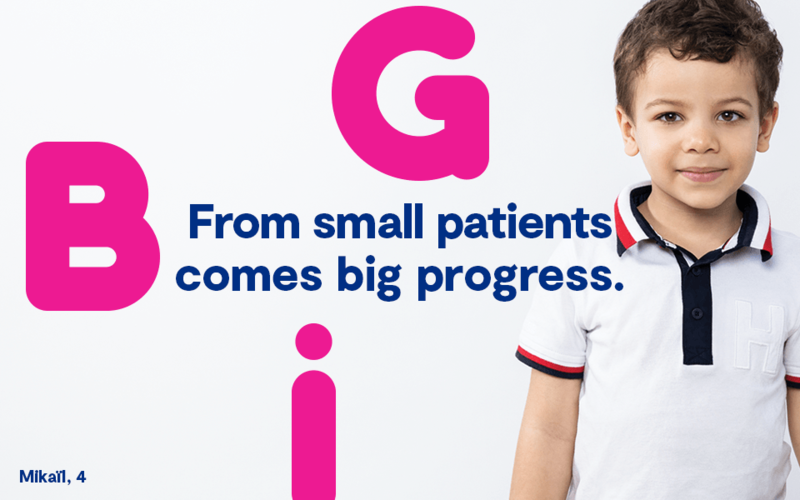 Supporting the Mélio Fund means making sure our research and healthcare teams have what they need to achieve their greatest ambitions and giving the young patients at the CRME every chance to realize their full potential. You are making it possible for children to receive care in a stimulating environment adapted to their needs. 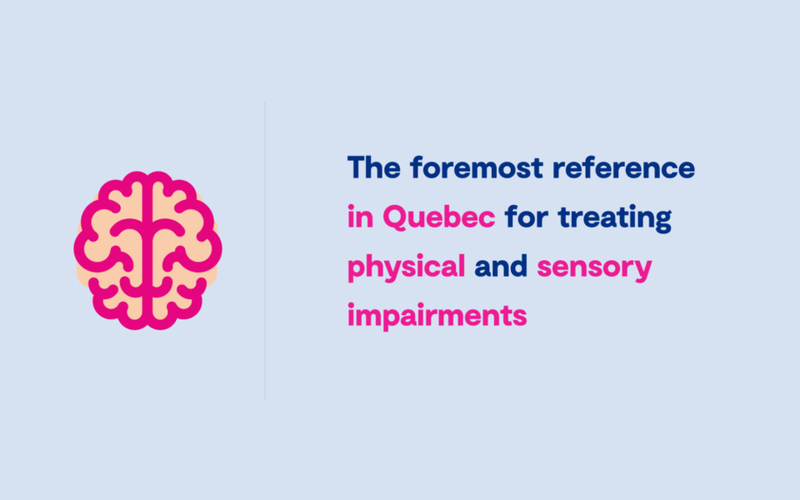 Providing an environment that meets the highest standards of therapeutic care is a top priority for the Marie Enfant Rehabilitation Centre – and one that is empowered by your generosity. • Upgrades to facilities used by children: washrooms with adapted showers, a comfort room for children with specific problems and a multisensory experience room for children with disabilities or chronic pain. • The acquisition of state-of-the-art rehab equipment for upper and lower limbs, mobility and positioning devices (wheelchairs, orthotics/prosthetics, posture support) and speech and language aids. The CRME is more than a rehab facility dedicated to helping children with a locomotor or language impairment develop their autonomy. It’s a home away from home. A place teeming with life. A family who is there – and who will always care. Email Required field Email invalid. Your message was sent successfully! A representative from the CHU Sainte-Justine Foundation will be in touch with you soon.